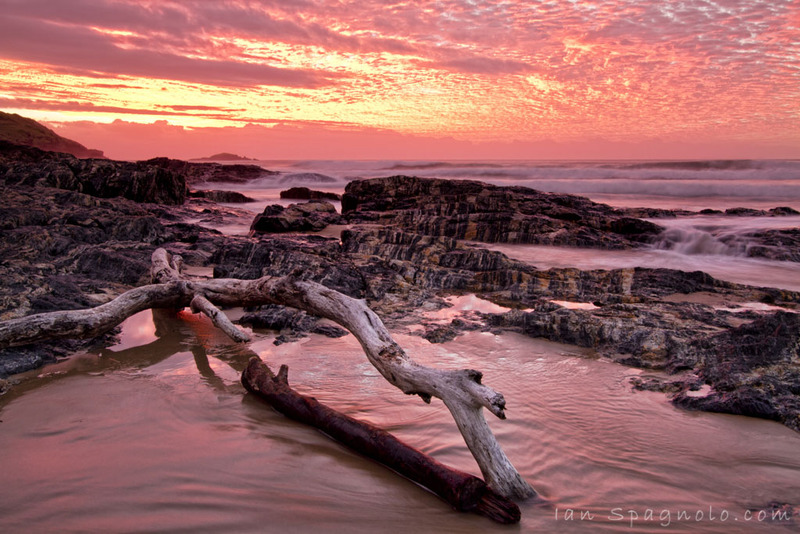 A sunrise at Boambee Beach in Coffs Harbour proved a nice vantage point for a few pics this morning. Only thing is I could not decide between the high or low shot from here. I think the shot above wins out over the lower one, with the long exposure, the waves coming over the rocks adds a extra spot of interest.